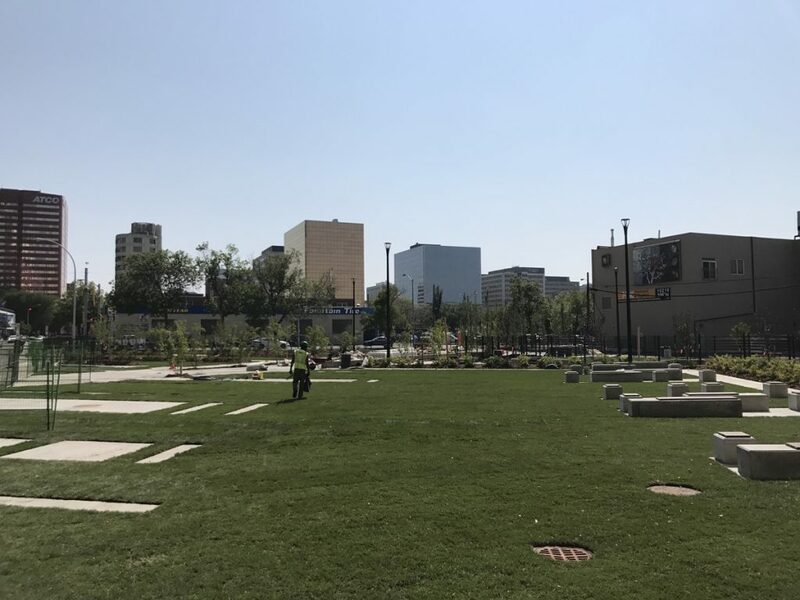 Alex Decoteau Park is nearing completion, our first Downtown park in decades! While the signs are now down, fresh sod has been laid that needs a few weeks to settle and take root. We would like to invite you to experience the new park at our Annual CornFest this year on September 9! Details to come soon. In addition, please mark your calendars for the formal Dedication Ceremony on September 16. Until then the park will remain an active construction site and we would appreciate your help in staying off the grass.